Never Have to Google, “Advanced Dentist Near Me” Again! Convenience is key. We’re in the 21st century for crying out loud! Everything happens with a quick tap on a touch screen or snap of your fingers. Dr. Tepner and Dr. Farthing can provide you all the innovate, speedy services that you need before you can even take the time to google, “Where is a dentist near me?” Indianapolis Family Dentistry believes in keeping our practice stocked with advanced technologies along with a highly-knowledgeable staff to provide several services that can make your dental visits faster and easier. What special services are offered? Dr. Farthing and Dr. Tepner care about your smile, in and out. They’re both highly qualified and despite their accomplishments, both dentists continue their education to stay in tune with the advances that have been made in the dental industry. Our dentists adopt therapies and tools that increase the quality of care we provide along with patient comfort and satisfaction. When you are visiting your dentist, you will undergo a dental exam. During your exam, your dentist needs to examine your mouth inside and out. This advanced piece of technology can take photos of your mouth that are more detailed than ever. Your dentist will be able to see images of your teeth and soft tissues in detail for great preventive care. Your Post Road dentist may create a wax-up model of your smile that depicts the benefits of certain treatments. This adds a whole new understanding to consultations with current and potential patients. A wax-up is a useful tool to show your new look and help you decide which procedures are right for you. Our dentists use electrosurgery instead of scalpels for increased accuracy. Our soft tissue lasers put out a high-frequency electrical current to remove infected gum tissues, providing a safe, effective treatment. The recovery for these procedures is minimized because of the technology we use. There’s less bleeding and less trauma caused to the surrounding tissues compared to traditional methods of surgery. Indianapolis Family Dentistry administers this “laughing gas” to enhance our patients comfort if they have dental anxiety or are going to undergo a dental procedure. It is important that patients are comfortable and able to receive the dental care that they need. Our office makes that possible and we do so in a safe, monitored setting. The light effects of nitrous oxide subside once we remove the gas mask from your face. If that’s the only sedative you received, you should be able to drive yourself home after your appointment. 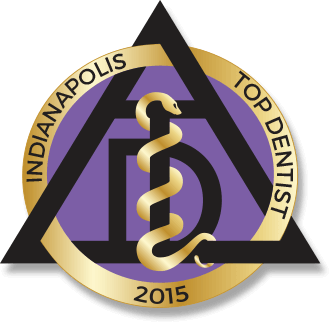 For years, our dentists have practiced gentle and compassionate dentistry with our very own Indianapolis friends and neighbors. Our office takes great pride in the fact that we can keep up with today’s technological advancements. If you’re interested in how our innovative office can service you and your family, contact us today to schedule a consultation. Comments Off on Never Have to Google, “Advanced Dentist Near Me” Again!